This is Part I of a six part series on the newly approved Ely Resource Management Plan, which permanently eliminated almost 1.6 million acres of habitat and over a dozen wild horse Herd Management Areas in the Fall of 2008. With the public’s eye now directed towards the hand of Mrs. Pickens generous offer to negotiate possibly saving up to 30,000 American Mustangs and the million-acre deal their lives depend on, public attention has been successfully diverted to what BLMs hand has been doing in the Ely District in Nevada. Specifically, I’m referring to the almost 1.6 million acres of wild horse and burro habitat that just disappeared after almost 40 years of being legally reserved for their preservation and protection. BLMs Ely District comprises almost 14 million total acres of which 11.5 million acres is under BLMs exclusive oversight. The planning area use to allow wild horses and burros on 5.4 million acres but what amounts to yet another acreage heist from our wild herds, BLMs newly approved Resource Management Plan (RMP) kept the focus on the 3.7 million acres that would still be “managed” while downplaying the fact that almost a third of the entire planning districts wild horse and burro acreage was being eliminated. In these modern times where urbanization and habitat fragmentation is profoundly affecting all species, what’s an acre worth these days? According to the new Ely RMP, an acre is worth a whole lot if it doesn’t concern wild horses or burros! While BLM was smoothly justifying the removal of their 1.6 million acres, the well-worn double standard was being played out again against America’s Mustangs and Burros as BLM legally contracted this deal for other wildlife in the new RMP. BLM then references four maps that specify what “kinds” of wildlife these priority species cover. Anybody care to take a guess what species are the lucky recipients of BLM’s 2-for-1 acreage deal? Surprise! The lucky winners are elk, pronghorn antelope, mule deer, and bighorn sheep as BLM threw their multiple use mandates to the wind and added 1.6 million more acres of public lands to be monopolized by livestock and big game. BLM also generously offered this same 2-for-1 acreage deal to “special status species” but conveniently omitted a key definition as to what qualifies a species for special status. This allowed them to circumvent the same 2-for-1 acreage deal for wild horses and burros but that will be covered a little later in the series. For now, the issue is acreage and in the interest of fairness, even if BLM tried to figure out how many acres were actually lost in order to replace them, the task would probably be impossible as the acreage records are so skewed, even the Government Accountability Office (GAO) threw up their hands! So while BLM is laboring over the GAO’s mandate to “figure it out” once and for all, and God only knows how much more acreage is going to magically disappear in this process as they attempt to set the record straight after almost 40 years, here’s a look at what BLM is up against. In February 2008, the BLM Wild Horse and Burro National Program Office reported the Herd Management Areas (HMA) listed under the Ely District’s jurisdiction equaled 5,518,194 acres of both BLM controlled and “other” acres. Of this acreage, 5,452,428 acres were cited as public lands exclusively under BLM control, a difference of 65,766 acres. In the Ely Districts Proposed Resource Management Plan, this same HMA acreage was reported as only spanning 5,360,300, as 92,128 acres magically disappeared from the exclusive BLM managed lands and 157,894 acres magically disappeared from the total HMA acreage that included both BLM and “other” lands. Further research revealed the disparity in acreage didn’t stop there. Examining a variety of official BLM documents regarding wild horse and burro management since 2003, more discrepancies were found and the simple truth is, only one BLM document reported the same acreage as another at any point in time for the twenty-four HMAs under the Ely Districts jurisdiction. Of the 24 Herd Management Areas the BLM Ely District use to manage, alternative documents could not be located for 4 of the HMAs. However, comparing acreages of the other 20 HMAs, the reported acreage totaled 4,557,086 acres versus the 4,401,700 acres reported in the Ely Resource Management Plan. In other words, when the Ely RMP was published, 155,386 acres of wild horse and burro habitat failed to be included and instead, magically disappear from their previous documents and records. The following Table shows the different acreages BLM has officially published regarding the Ely District’s Herd Management Areas. (1) Click Here to view the larger version. To view an individual breakdown of the Ely Districts Wild Horse Herd Management Area acreage statistics, Click Here. Photo is of a wild horse taken from the now zeroed out Clover Mountains Herd Management Area. 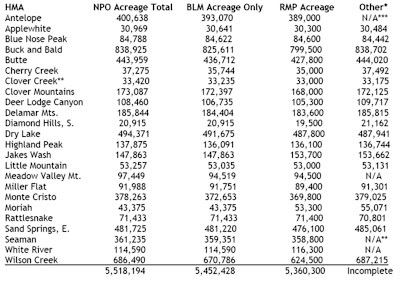 a) Total acreage and exclusive BLM managed acreage taken from the February 2008 Wild Horse and Burro National Program Office (NPO) Herd Statistics. Total acreage includes the addition of “other” acres listed. Other acres may be acres private land, state land or land managed by other government agencies. To access, Click Here. b) The Ely Resource Management Plan acreage taken from Ely Proposed Resource Management Plan, Final Environmental Impact Statement, Table 2.5-10, Herd Management Areas Under Jurisdiction of the Ely Field Office, page 2.5-13. Applewhite, Blue Nose Peak, Clover Creek, Clover Mountains, Delmar Mountains, Highland Peak, Little Mountain, Miller Flat, Rattlesnake HMA acreage taken from "Establishing of Appropriate Management Levels for Twelve Herd Management Areas" EA# NV-040-03-036, September 2003, Table 1, pg. 6. Buck and Bald, Butte and Cherry Creek HMA acreage taken from "Buck and Bald Complex Wild Horse Gather Plan and Environmental Assessment" Ely No. NV-040-05-017 and Elko No. BLM/EK-2005-013, June 2005, pg. 2. Deer Lodge Canyon and Wilson Creek HMA acreage taken from "Wilson Creek Complex Wild Horse Gather Plan and Preliminary" EA# NV-040-06-047, December 2006, Table 1, pg. 2. Note: in BLMs The Establishing of Appropriate Management Levels for Twelve Herd Management Areas, EA# NV-040-03-036, September 2003, Table 1, pg. 6, reports acreage for the Deer Lodge Canyon HMA as 108,160 acres. Dry Lake HMA acreage taken from "Dry Lake Complex Wild Horse Gather Plan and Preliminary EA" NV-040-07-002, October 2006,Table 1, pg. 2. Note: Highland Peak HMA was listed as 136,071 acres and Rattlesnake HMA was listed as 71,433 acres. Diamond Hills South HMA acreage taken from "Diamond Mountain Range Complex Wild Horse EA and Gather Plan" EA# NV-062-EA04-13, January 2004. The Diamond Hills South Herd Management Area Description, White Pine County, lists acreage as 10,500, published date unknown. Jakes Wash Herd Management Area acreage taken from "Jakes Wash Herd Management Area Wild Horse Gather Plan and Preliminary Environmental Assessment" NV-040-07-EA-045, May 2007, pg. 2. Note: In BLMs Establishing of Appropriate Management Levels for Twelve Herd Management Areas, EA# NV-040-03-036, September 2003, Table 1, pg. 6. reports Jakes Wash acreage as 153,203 acres. Monte Cristo and Sand Springs East HMA acreage taken from "Monte Cristo Complex Wild Horse Gather Plan and Preliminary Environmental Assessment" November 2005, EA# NV-040-05-030, Table 1, pg. 2. Moriah HMA acreage take from "Moriah Herd Management Area Wild Horse Gather Plan and Preliminary Environmental Assessment" EA# NV-040-07-EA-44, May 2007, pg. 2. Note: In BLMs Establishing of Appropriate Management Levels for Twelve Herd Management Areas, EA# NV-040-03-036, September 2003, Table 1, pg. 6., cited the Moriah HMA acreage as 53,878 acres. **BLM gave two different acreages for the Clover Creek HMA in the Ely Resource Management Plan. Under Table 2.4-12, HMAs Dropped, BLM reported 33,100 acres while on Table 2.5-13, Herd Management Areas under the jurisdiction of the Ely Field Office, acreage was reported as 33,000 public acres. ***BLM failed to list any acreage of Antelope HMA in the "Emergency Wild Horse Gather Plan and Preliminary EA for the Antelope and Antelope Valley HMAs" #NV-040-08-EA-04, November 2007 as well as the "Ely Fires Rehabilitation Wild Horse Gather Plan and Preliminary EA" #NV-040-07-001, October 2006 for the Seaman, Clover Creek and Clover Mountains wild horse removals. Since BLM announced they have captured so many wild horses and burros from public lands they can no longer afford to feed them and are looking into mass genocide or slaughter to solve the financial dilemma, the public has been asking in earnest; why has 19 million acres of habitat been zeroed out for wild horse and burro use and why can’t those now on death row be returned to their legally designated territories instead of killing them? This was the most prominent and consistent question and recommendation by the public at the recent November 17th National Wild Horse and Burro Advisory Board Meeting. For those of you wondering why 19 million acres, this is the difference between what BLM reports was the original acreage identified in 1971 “where wild horses and burros were presently found” versus what their land use planning processes designated as “suitable for management” by granting it Herd Management Area (HMA) status. For those of you wondering exactly what this means, it goes something like this. After Congress passed the Wild Free-Roaming Horse and Burro Act in 1971, BLM and U.S. Forest Service (USFS) were required to identify all the areas across the West that had free-roaming equids on it. These originally identified “territories” were then labeled by BLM as “Herd Areas” (HA) while USFS called them Wild Horse Territories (WHT). However, after BLM had identified these original Herd Areas they ran into a little problem. Specifically, some of the habitat that had free-roaming herds on it were interwoven in what is called a “checkerboard pattern” of public, state and private lands. The law specifically mandates that wild horses and burros must be removed from private lands if the owner of those lands requests their removals and we can be sure BLM had its share of complaints (anybody want to guess who was complaining?). The checkerboard pattern was the most contentious in Wyoming (though not exclusively) and affected millions of acres of private ranches and public lands wild horses roamed on. I believe this was one of the most pressing original issues that forced BLM to try and come up with some sort of legal compromise to appease the “complainers” (though I may be wrong about this) and this led BLM to the solution in the 80’s of creating Herd Management Areas instead. From here, BLM expanded their application of what qualified as “suitable” for Herd Management Area status and began incorporating new standards such as, “Was there sufficient cover available in the HMAs for wild horses and burros?” At one public meeting, someone asked BLM what WH&Bs needed cover for and BLM responded, “To hide from predators” (you know, the ones they don’t have). The Ely Field Office in Nevada just zeroed out 1.6 million acres by using the criteria of “watershed”, meaning they determined after thirty-seven years there wasn’t enough natural water sources available for wild horses and burros anymore. By the way, even if an area was once deemed suitable for wild horse and burro management and granted HMA Status, BLM can and has revoked that status in subsequent land use plans ~ just because it’s an HMA today doesn’t mean it will be one tomorrow! So back to the 19 million acres in question that so many want to see our wild horses and burros returned to rather than warehoused, slaughtered or euthanized. While BLM has stated they are now looking into this option to see if there are any areas they can be returned too, this is not the first time this has been brought up. Yet when BLM has responded to this question before, they cite the reasons they were zeroed out in the first place haven’t changed (checkerboard, endangered species, etc.) so there is probably little hope of re-establishing herds and habitat in most, if not all of these now zeroed out areas (at least by trying to go through BLM!). While I personally believe there could actually be a fair amount of acreage that BLM could return wild horses and burros too, considering how often their management and decisions have been so one-sided over the course of the years, I seriously doubt they are going to turn over a new leaf now! I can personally testify to sending the GAO, at their request, dozens of documents on questionable acreage and decisions I have found throughout the Program but it now appears the GAO wasn't that interested after all or were incapable of investigating this on their own. However, here was one of the links and questions given to the GAO they failed to examine or publicly address. Currently, BLM has posted on their Wild Horse & Burro Program website a page I ran into over a year ago created by the United States Geological Survey (USGS), the most credible and scientific branch of the Department of the Interior. So far, previous inquiries into this question received no response from BLM or USGS and obviously, the GAO refused to touch it as well. Recently, I have again asked BLM and USGS to address where are they getting “...88 million acres of public lands” from? Obviously, if USGS is reporting the accurate acreage versus BLM, we are looking at a loss of over 53 million acres since wild horses and burros became "protected", not 19 million acres as currently believed. While I’m not holding my breath waiting for a response, or at least a credible one, I’ll keep everyone posted if an answer finally does arrive. (1) United States Government Accountability Office, Bureau of Land Management, Effective Long-Term Options Needed to Manage Unadoptable Wild Horse (GAO-09-77), pg. 5/6. BLMs National Program Office has now responded to the inquires about the 88 million acres in question. An edited version of their response limited to the applicable information is pasted below. I am writing to you today to address an issue that is very near and dear to both our hearts; the preservation and protection of America’s wild horses and burros. You have graciously and generously stepped up to the plate to attempt negotiating a rescue for over 30,000 animals BLM has deemed “excessive”; the aftermath and consequence of aggressive management tactics strategically targeted at America’s herds that have now placed their very lives in peril. While I commend your willingness and commitment to finding creative and humane solutions for those now captured and waiting to die, after deep contemplation of your proposal, conscience compels me to ask you to re-think your plan. I was at the National Wild Horse & Burro Summit when you entered the room and announced your stunning proposal. You said you had just “jotted it down on the plane flight over” and from here, your idea has taken root. Since then, newspaper articles have reported on your progress and details have begun to emerge as to where our wild horses may be headed under your wing. Since your concern has focused so strongly on helping save our wild ones, perhaps there are some issues you have failed to consider. Therefore, as a member of the public these majestic icons are held in trust for and who has been intimately involved in many of BLMs proposals that landed these wild horses and burros on “death row”, I am humbly asking you to expand your considerations to include very important issues that effect us and the continuation of our wild herds on public lands. *Over the years, the herds and their lands have been stolen from us. Your generosity is legitimizing their theft and bailing BLM out from accountability. *There are serious, serious questions that must be addressed nationally about the Wild Horse & Burro Program. Your proposal will allow long-standing management issues to continue to be postponed, ignored and buried that may very well decimate the long-term viability of America’s free-roaming herds if they are allowed to continue unchallenged. *In this deal, you want to gain control of over 1 million acres of lands you may allow the public on. In other words, you become the “middle man” for what once use to be ours anyway. Have you considered how this may not help the American people or our children who were suppose to have the right to experience them wild and free too? *The Washington Post reported your ranch could be open to the public. Could be? Are you negotiating the right to operate your ranch and their lives behind closed doors? *Your proposal to take all the wild horses BLM “culls” forevermore will allow them to continue to take off an endless stream without question. When you take them in, do you plan to question or challenge why BLM authorized taking them from us to begin with? *You plan to sterilize every single wild horse that comes through your gates. What will you do with your million acres when these non-reproducing herds grow old and die and cannot be replenished? Now BLM is planning on sterilizing almost every wild horse still left standing on public lands after their recent full-scale assaults to remove them. In ten years, how many wild horses do you think are going to be left to cull to add to your collection? *How is it you plan to sterilize the mares? A lifetime contract with the United States Humane Society for their PZP? About how much would that be worth on an annual basis to them? Or are you planning to attempt to spay the mares instead? Do you know how invasive, traumatic, and expensive that is per mare? Do you know the percentage of mares that die from this procedure? If you don’t, you should look into what this would do to those in your care before rushing into this “option”? *As time passes and the “Pickens Trust Fund” passes to other hands, will their new custodians choose to save them too or will the temptation to lease it back out to ranchers, oil, gas, mining or selling it to developers be their primary concern? *Where are the wild burros in all this? Their populations and habitat have been decimated over the years under BLMs “care” who openly posts a population management objective that qualifies them for Threatened and Endangered Species Status. Will they be forsaken again? How will you sterilize them as PZP does not apply? *Have you considered investing in public lands instead of moving our resources to your sole control? With the money you are willing to shell out for this project, have you looked into how many wells, water developments, grazing leases in already publicly established Herd Management Areas this could buy and be returned back to the American people instead? *Do you know how many successful lawsuits could be filed against the BLM if there were only money available for good lawyers, money the average citizen does not have – but you do. Do you really want to help the American people and our wild horses and burros? Do you really want to save them, to preserve them and protect them for future generations? To leave a truly philanthropic American legacy for years to come? If so, PLEASE do not take your involvement lightly! Let more than your heart rule your actions by carefully considering what you may be doing ~ as once done, it cannot be undone. There is no doubt you have the power to make a profound difference at this critical crossroads for our wild herds. Please use your power wisely. To access the Madeleine Pickens Wild Horse Website Click Here. Due to the November 17, 2008, National Wild Horse and Burro Advisory Board Meeting receiving International Live coverage thanks to funding provided by Horse Power of Nevada for Sierra Nevada Community Access Television's educational services, many have requested a written version of this public comment submitted to the Advisory Board. Today, we gather to discuss what may be the "Final Solution" for over 30,000 wild horses and burros now warehoused in government pens; the end of a long trail of easily verifiable malfeasance of such magnitude that only a Congressional investigation could begin to reveal. While I could spend my three minutes trying to cover hundreds of statistics and documents to expose BLM's "management" that has led to the supposed crisis of "excess" wild horses and burros whose very lives are now in jeopardy, instead I am chosing to speak for one that the issue of euthanasia is now a moot point, as he is already dead. I hold in my hand a Memo dated July 28, 2008, written by Dr. Albert Kane, BLMs lead liason for their contract with Animal Plant Health Inspection Services. In this memo, Dr. Kane explains why he recommended euthanizing a 10-year old bay stud during the recent removals of the Nevada Wild Horse Range wild horses. These are the reasons cited by Dr. Kane that authorized the killing of this wild stallion. *He did not stay close or mix with other horses. *He was very aggressive towards other horses. *He ran past BLM personnel when they were trying to sort horses. *He showed no fear or "respect" for humans. *These characteristics were deemed more dangerous than "normal" wild characteristics. Instead of releasing this one lone stallion back out on a range of 1.3 million acres, BLM supported Dr. Kane's recommendation to put a bullet in his head in case he was gathered again and posed the same "risk" in the future. In reading the official documents published on Wild Horse & Burro Management over the last several years, it is easy to see, too often an utter lack of respect is given by those charged with safeguarding these magnificent wild animals held in trust for the American people. It is also easy to see these government officials have no fear of the public, of blatantly subverting the laws that govern them or of being held accountable for their decisions. And so, I would like to recommend following Dr. Kane's lead as the agency has become aloof from other people, have demonstrated extremely aggressive behavior towards wild horses and burros in the WH&B Program and therefore, they too should be "put down" to relieve the public's suffering from continued mis-management, as their wildly uncontrolled behavior is now posing a serious danger to the American people and to our wild horses and burros they were suppose to protect. Click Here to read Dr. Kane's July 28, 2008 Memo that authorized the death of the 10-year old Nevada Wild Horse Range bay stallion. The following comments were sent to the National Wild Horse and Burro Advisory Board from Susan of Chicago about the current situation facing America's wild horses and burros. I have respectfully submitted a series of questions in addition to my public comments on the situation to be addressed at the November 17, 2008 meeting. These are questions that directly relate to the discussion, and as a part owner of America’s federal lands, I would like addressed. This is a direct quote from the BLM!!!!! 1. So, does this statement represent how the BLM thinks? It certainly would explain volumes as to how the BLM manages the Wild Horse and Burro Program, with callous disregard for the spirit and intent of the law, catering to special interests, and capricious decisions that led to the current crisis in the program. 2. Why are only two alternatives proposed by the BLM, euthanasia and halting round-ups, to the issue of so many horses in long-term holding when many and advocacy groups and individuals welcome a dialogue with other pragmatic and humane suggestions? Could it be that “this is not a democracy”? 3. Even if the two proposals offered by BLM were the only alternatives and the budget crisis is so dire, why has the logical and practical alternative to halt gatherings not been implemented? 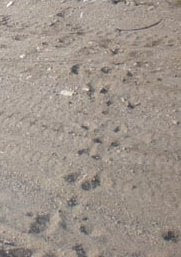 The argument that the range cannot support the current horse population specifically in areas where there have been recent or soon planned gatherings, is purely insipid as independent range assessments and horse condition photographs in the public domain illustrate. So is the answer that “this is not a democracy”? 4. Is the purpose really to reach BLM determined AML levels? 5. If so, why is meeting a “so called” legal, but scientifically non-defensible AML level so important given years of legal disregard by the BLM in maintaining Herd Area acreage which have been systematically reduced to BLM convenient HMA’s? Furthermore, what is the justification for the further capricious and unilateral reductions in HMA’s that has resulted in almost 20 million fewer acres for America’s wild horses and greatly contributing to thousands more wild horses in long-term holding ? For a majority of this acreage, only internally generated excuses from the BLM can be identified. Oh yes, according to the BLM, “this is not a democracy”. 6. Why does the BLM not consider independent and credible scientific evidence on genetically viable herd size when determining AML levels? Maybe it would be in a democracy. 7. Could it be that special interests groups that want to preserve their self-serving agendas exert influence over the administration and in turn the BLM? That seems plausible over the last eight years and would be easily understood if in fact “this is not a democracy”. 8. Why are concerns not addressed about the validity of statistics used by the BLM that are inconsistent with other bodies such as the US Geological Survey Biological Resources Discipline over counting techniques for wild horse populations? Because, this “is not a democracy”. I see that the BLM “welcomes and concurs” with the conclusions. That makes perfect sense as the GAO study essentially parrots many BLM statements, arguments and recommendations. This report is incredibly lacking in most every way including its stated purpose, its independence of fact finding, its accuracy of reporting, its inclusion of quantitative measures upon which conclusions are based, and the absence of critical facts needed to formulate, let alone reach, serious conclusions. If this matter were not so critical to the fate of the America’s wild horses that are deemed to be protected from abuse and death under the WFHB Act of 1971, it would be laughable. The points raised in my above questions highlight the many short-coming of this report which clearly was designed to mis-lead and obfuscate essential truths of the current situation. It could not be more obvious that there is something very suspicious about this report in that it appears to be written by the BLM itself. 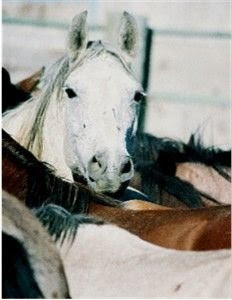 It is a sad fact that the title of the report; Effective Long-Term Options Needed to Manage Unadoptable Wild Horses, does not even match the request of June of 2007, by Committee on Natural Resources Chairman, Nick Rahall, and others asking that the GAO conduct a comprehensive review of “the BLM’s management of wild horses and burros on public lands”. The GAO and BLM are trying to avoid accountability by addressing only the existing budget crisis, not how it came to be. In this way, the conclusions reached simply and feebly try to address what to do now that over 30,000 wild horses are in long-term holding and expenses are rising. The requested study should have objectively analyzed why this situation truly evolved into what it is now. “this were not a democracy”. Ed Note: As one read Susan's points, one cannot help but reflect how the American Mustang is once again showing us the way the "New World" is being pioneered and settled. If we no longer have a democracy, what is "it" we are spreading, what are our children really bleeding and dying for and why is it more important that a foreign country have what we ourselves cannot? HORSE POWER of Nevada, a non-profit 501 (c)3 has just issued a stunning announcement! As a result of a recent educational partnership with Sierra Nevada Community Access Television, the National Wild Horse and Burro Advisory Board Meeting scheduled to meet in Reno, Nevada on November 17th, 2008 between 8:00 a.m. and 5:00 p.m. will be broadcast LIVE through streaming video at the HORSE POWER WEBSITE. For the first time ever, the National Wild Horse & Burro Advisory Board will be available to the general public everywhere through this historic partnership in order to connect concerned citizens, wild horse and burro advocates and people all over the world for this most controversial of meetings! The decisions made at this meeting, could by law include the euthanasia or selling for slaughter of the over 30,000 of America’s wild horses and burros now warehoused in government pens. The meeting will include recommendations and input from the Bureau of Land Management, The National Wild Horse and Burro Advisory Board and public comments from Wild Horse and Burro Advocates from all corners. A giant “hats off” to HORSE POWER OF NEVADA and SIERRA NEVADA COMMUNITY ACCESS TELEVISION for their coordination and insight into making it possible to bring International attention to the “managed” plight of America’s Mustangs & Burros! Don’t miss this historic and exciting opportunity! On Monday, November 17th, the National Wild Horse and Burro Advisory Board will be meeting in Reno, Nevada and submitting their recommendations to BLM regarding BLMs June 30, 2008 announcement of possibly killing tens of thousands of wild horses and burros now captured and warehoused to ease the financial consequences of their past management and decisions. After one of the most aggressive wild horse and burro removal campaigns ever implemented, a campaign that many of the current Advisory Board members have overseen and approved of, they will continue to provide more recommendations to BLM about “what to do”. Yet in July, the terms of three positions of the Board expired; Wild Horse & Burro Advocate, Interested Public and Veterinary Medicine. A year ago, BLM called for nominations to fill these positions and over 50 known individuals applied. Yet the Secretary of the Interior has failed to appoint new members, despite the high number of those interested in implementing a change in course from the former Boards direction and oversight. While many of the same individuals continue to be appointed again and again, one of the leading wild horse advocates in the country, Andrea Lococo, has been nominated repeatedly by those who wanted to see an advocate with working knowledge of the Program appointed instead; someone who was not afraid to speak out, knew how to find the flaws in BLMs proposals and knew how to find real solutions to many of the documented problems in the Program (that now span decades) only to have her nomination denied each and every time. Furthermore, since Melissa Scott’s appointment to the position of Interested Public, she has only attended one meeting and so, in essence the Board has been operating with only eight members instead of nine. The Secretary of the Interior made no effort to replace Ms. Scott nor to fill the other three positions at this critical juncture in the Program as the lives of thousands of mustangs and burros hang in the balance – another gift to our wild herds from Bush and his Administration. 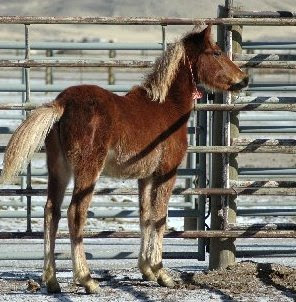 This position has been represented for years by Robin Lohnes of the American Horse Protection Association, a vague and nebulous Association that has no website, has no known current information or involvement in wild horse and burro issues outside of BLMs Advisory Board (or horse issues at all for that matter!) and who’s background is currently unknown to the general public. Keep in mind as you read about how BLM is going to “monitor” this gelding study that will be used as the future basis for more approved gelding populations, that the NWHR is located in Nellis Air Force Base, a highly restrictive environment BLM has historically had extreme difficulty accessing. Prior public input to the Advisory Board has included urging BLM to publish all public comments submitted to the Board so a public record is available for everyone to see if the Board or BLM is addressing suggestions or concerns. So far, it has been “affirmed” ~ this ain’t gonna happen anytime soon! And why don’t they want public comments published? Because then everyone would know how the Board has been urged to provide independent oversight and accountability of BLM and their proposals, proposals that zeroed out herds, eliminated habitat, reduced allowable management levels, removed water sources, added death trap fences for the sole benefit of livestock, required accountability for PZP monitoring and real data that would support its continued use, to verify range data was actually current instead of the countless approved “management” proposals that have had missing data, data that was decades old or didn’t provide any data at all to support those decisions! If anyone takes the time to review the past Advisory Board Meeting Minutes, it’s easy to see their focus has been dominated by the cost of the Program and looking for ways to reduce it. When it was publicly suggested to the Board that they actually look into the reasons why BLM was pulling all these wild horses and burros off the range, they failed to respond or even acknowledge this might be a significant contributing source of their financial woes, as these inappropriate management decisions are often at the root of the growing containment costs. In my opinion, this Board should not have the right to “advise” BLM about anything, much less approving genocide for our now warehoused wild horses and burros, as one third of the Board’s terms have long since expired and they don’t even belong there anymore! This Board has been a dismal failure in the issues of accountability, oversight, sincere concern for preserving our Living Legends and are in urgent need of replacement. Except the Secretary of the Interior wouldn’t want three new “wild cards” tipping the balance of all those pre-formulated strategies, now would he? Or if you’d like to see CHANGE from the good-ole-boy-business-as-usual program, also consider submitting your comments to President Elect Obama by Clicking Here. You might even want to mention the dire need to appoint a legitimate Secretary of the Interior to oversee public resources! 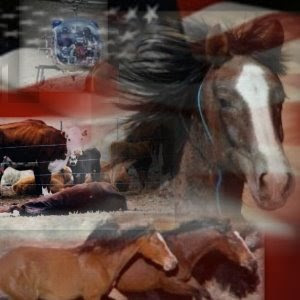 This is the last in a four part series, which attempts to highlight two of the root issues in the long-standing war on America’s mustangs and burros and continues to be used as the hammer to prevent their rightful place in the American landscape. While the debate (what little there may be) of whether horses were here prior to the arrival of the Spaniards will probably continue to be relegated to the outer fringes of contemporary thought, the issue points to a larger one that has immediate relevance to wild horse and burro preservation and protection. Despite extensive laws, treaties and promises that pretend to honor tribal cultures and ways of life, the prevailing attitude still persists of their inherent inferiority and mostly, just lip service is given in lieu of true respect. The keyword here is “culture”, something Indigenous Peoples have that is decidedly absent in the prevailing American mainstream consciousness as the American “way of life” is often defined by Madison Avenue architects who craft our social trends based on maximizing shareholder profits. Even as the American people reached out in 1971 to honor the cultural values and contributions of our distinctly American wild horses and burros, author and sociologist Alvin Toffler had begun recording the psychological impacts of an accelerating American culture that had no roots, no traditions and was continually in a state of flux. These psychological effects included “shattering stress and disorientation” and its various symptoms were coined “Future Shock”. From our earliest arrival, everything in the New World has been deemed disposable and Toffler recognized that accelerated technological and culture changes of our industrial and “super-industrial society” were having a profound impact on us as a whole. He defined future shock as “too much change in to short of period of time” and his studies provided a myriad of examples in how anything and everything that grounded us, gave us a sense of connection and orientation, was constantly being revised, replaced and revamped. (Click Here to learn more). As people have begun recognizing the cultural and economic damage their communities often experience from mega cookie cutter franchises, strip malls and the same dubious “choice” offered by the fast food courts that now litter the American scene, public rallies and attempts to block their establishment are often meet with stern resistance by city planners, whose eyes can only perceive increased tax revenues to support more expansions of more of the same. The ideas of animals as an important cultural value is nothing new – just ask the Native American tribes how important many species are to their cultures and communities. National Park Service, whose modern day policy demands the eradication of wild horses and burros from NPS managed lands, even by “humane bullets” (Click Here ) has also made exceptions, such as for the Assateague wild horses due to their cultural values to the public. Almost every publication about the island is splashed with photos of the “feral horses” that take the lead role in contributing to the millions of visitors to the island every year. (Click Here ). Yet despite their cultural value to the American people, a value that is the rudimentary foundation for their preservation and protection in the 1971 Act, the above reference is the only currently known acknowledgement by BLM that they were indeed protected for their culture and historic values to us. To see if this was true, a report titled “Wild Burros of the American West: A Critical Analysis of the National Status of Wild Burros on Public Lands” (2006) was compiled based on BLMs own statistics of their management of herds and habitat over the last thirty-seven years; BLMs conclusion was not found to be supported in the slightest. Though this report was submitted to BLM requesting they analyze the true nationwide impacts of their management actions (as required by law), California State Director Mike Pool refused (Click Here ) and BLM and other agencies continue to refuse to acknowledge them as a cultural and historic resource in their official “checklist” of issues they are required to review. Why? Because BLM and other government agencies know a true examination of national and cumulative impacts to our wild herds will reveal the stark truth – they are managing them and their habitat to extinction. Dr. Thomas King, one of America’s leading and foremost authorities on determinations of eligibility for historic and cultural resources, has been deeply involved in trying to get government agencies to acknowledge animals of all species as historic and cultural resources in their legally required NEPA reviews. Today, like the Native American’s values and history, the values and history of the American people are being just as systematically ignored and subverted by elitist experts who care little for the values of those who pay their salaries. While the focus of those who are trying to eliminate wild horses and burros continue to be hotly debated in “wildlife circles’, the foundation of federal protection for them, which was based on their cultural and historic value, has been successfully obscured in the smoke and mirrors game of political pandering even by the advocates themselves. With an independent review that used BLMs own statistics, which revealed the remaining free-roaming wild horse and burro populations is most likely 16-20k less than BLM is reporting to the public, dominate animal activists groups pushing castration and fertility control drugs as the only “solution” versus researching into what is really going on and initiating legal battles about it (they contend it’s too costly to fight the government anymore and obviously, there’s no money in preserving them in their free-roaming state unless they are subjected to a lifetime of fertility control shots), government officials and special interests continually scheming on how to further reduce populations and habitat and BLMs own straightforward population targets of wild burros now under 3,000, there are few avenues left for communities and a bereft public as both their value as a wildlife species or their historic and cultural significance have been stonewalled, misrepresented and ignored while our herds continue to be “officially” cleansed from the American scene. 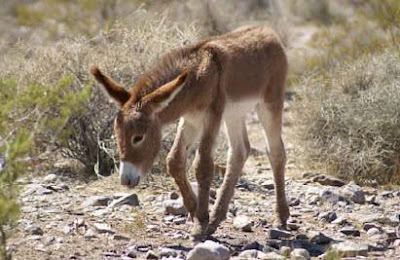 In order to help grasp how BLMs national maximum allowable wild burro populations stacks up to officially designated Endangered Species and their critically listed populations, here's a few sample species to compare "management strategies" too. Walnut Creek National Wildlife Refuge ~ Iowa. (2) Nevada Test and Training Range Proposed Resource Management Plan and Final Environmental Impact Statement, pg. E-25, Comment 87, BLM response.